Chevrolet India which is the fully owned subsidiary of American automobile maker General Motors has quite a few launches of Upcoming Cars this year. Their SUV Chevrolet Captiva is going to be launched very soon with a revamped look and it is being said that they are also going to introduce a refurbished version of Chevrolet Cruze sedan as well. Apart from this, Chevrolet India is also going to introduce Chevrolet Sail hatchback car as well as a sedan version and an MPV Chevrolet Enjoy, all of these in this year itself. The company is certainly going to on a high with so many new launches coming up. On the other hand, the company is doing quite well in the sales department as well and has sold 8,005 units in the last month. Their top seller for the month of April 2012 was their popular hatchback Chevrolet Beat with 4.586 units. The next in line was Chevrolet Tavera with 1,953 units and Chevrolet Spark chipping in with 821 units. Their premium sedan Chevrolet Cruze generated 455 sales and the company is expecting it to perform better with the new version coming in the month of June. Chevrolet India wants this new version of their premium sedan car to be the top seller in its segment and is doing all what they can to promote this sedan. 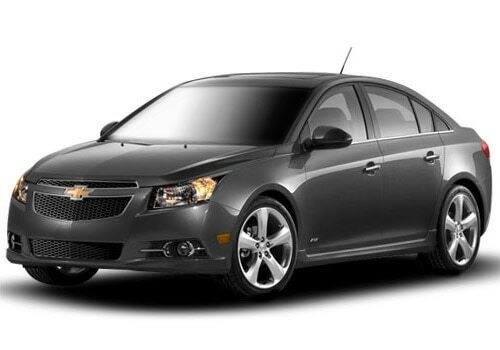 The Chevrolet Cruze Price for this upcoming version is not disclosed as yet, but will be announced closer to its launch. But there are some reports which state that the price will be slightly increased as this revamped sedan will have some new additions to it. This sedan has very neat and stylish exteriors with a wide front façade, new headlamps, stylish fog lamps and a modified air duct. The sides are smooth and flowing with smartly carved wheel arches, which will house a set of modish alloy wheels. The rear end has some minor changes to the tail lamp cluster as can be seen in the Chevrolet Cruze Pictures. This New Chevrolet Cruze is surely going to be a show stealer with such pristine exteriors. The interiors have also been improvised and the company has integrated this sedan with a new audio system, a refined and classy instrument console along with some other trifling changes. There are some significant changes to the engine of this New Chevrolet Cruze with a new 2.0 litre engine that will now displace 1998cc and will churn out a peak power of 161 Bhp. The prevalent version of this sedan has a 1991cc engine with an ability to produce 148 Bhp of power. This new engine is said to be cleverly mated with a 6-speed manual transmission and will also have the automatic variant as well. This new version, it seems will also have better acceleration and improved fuel efficiency as well. With a new engine and excellent exteriors, this New Chevrolet Cruze is going to take the Indian car market by a storm. For more updates, reviews and comparisons of Chevrolet cars and new, upcoming and most popular cars, log on to www.cardekho.com. I recently shared that Renault Pulse Petrol Makes an Entry in the Hatchback Car Segment and Maserati Gran Cabrio, Stunning Performance Blended with Stunning Looks.